Tarragona and the whole Costa Dorada have endless possibilities for events for companies. The province of Tarragona enjoys spectacular mountain sites, beaches and numerous hotels to celebrate a business event. The provincial capital, Tarragona, with its Roman monuments is an ideal place to organize a themed gymkhana. Team Building in Tarragona. Tarragona is a city in which a vibrant past and a present that looks to the future mix. The whole province offers an ideal framework to organize Team Building activities. Tarragona is a coastal city that offers the perfect setting to organize Team Building activities. Tarragona is a city in which a vibrant past and a present that looks to the future mix. Actually, not only the city but throughout the province Tarragona offers an ideal framework to organize Team Building activities. And within the province, we like to work in the Baix Camp in towns like Cambrils, Reus, Salou, etc. or in towns such as Alt Camp Valls, Alcover, Vilabella. Etc. 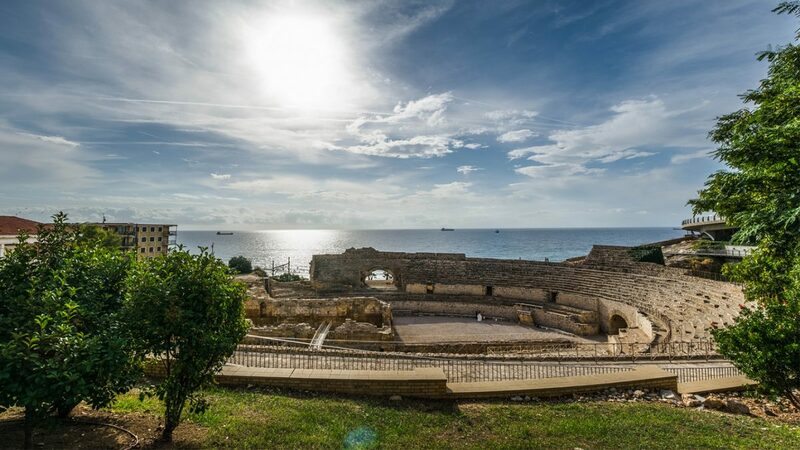 Tarragona has preserved until today the echoes and images of Tarraco, the settlement founded by the Romans in 218 B.C., and one of the largest commercial ports in the Mediterranean. In addition, its Roman legacy is interspersed with medieval memories, lush forests, long beaches and ambition of modernity. All these elements of the past, today and anchored in the immediate present, are golden opportunities to facilitate events and in our case Team Building events in Tarragona and create an aura of tradition and history. There are many possibilities to organize team building activities in Tarragona. Tarragona, being of the most important cities in Catalonia, and having all of the Costa Dorada, has a tourist offer and a perfect infrastructure for organizing corporate events and team building activities. Hotels, farms, restaurants, beach, mountain, etc. Tarragona has almost everything. And all at one hour drive from Barcelona and 2 and a half hours from Madrid AVE. The city of Tarragona has many museums, both historical (such as the Tarragona History Museum or the National Archaeological Museum) and art (Museum of Modern Art). Moreover, its early Christian Necropolis has been declared world heritage. Roman, Christian, medieval and modernist routes are an excellent way to explore the city and its surroundings (and, by extension, make treasure hunts and other activities of Team Building in Tarragona). The beaches, of course, are another attraction to consider. The 15 kilometers of coastline with Tarragona city counts and many more of the Costa Dorada, (together with its mild climate), offer a multitude of pristine beaches where do various activities. 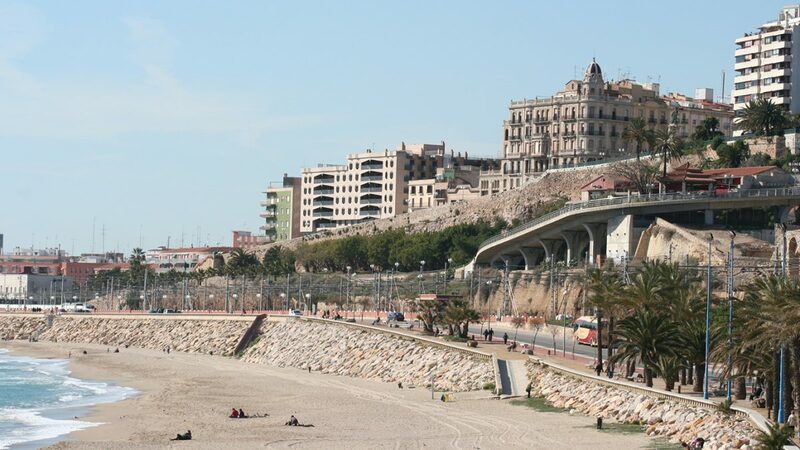 Various roads connecting the city with its term, in addition to offering tourists a perfect opportunity to walk in a natural environment, (and for recreation with views), are also interesting opportunities for team building events in Tarragona. For example, to test guidance. All Costa Dorada towns like Cambrils, Salou, La Pineda, Reus, etc. traveler offers many possibilities for water sports, shopping, or visits to mountain environments towns of Prades, Cornudella, etc. Tarragona has ideal spaces, such as the amphitheater, where Team Building activities can be developed in a single framework. Tarraco also with sand, which was the old bullring. Ramon Salas Ricomà, considered the best architect of the time in Tarragona, designed and directed the construction of the square in 1883. The bullring is considered one of the first works of the New Modernism in the Tarragona region. Construction reverberated deeply in the urban aspect of the city. The building was built on the space previously occupied by the bulwark of Orleans. The square had 3 floors (two upper covered), and a roll of 55mm in diameter; the construction of the walls was executed in white stone and red brick country; polygonal facade 48 sides and a diameter of 95m. Its initial capacity was 17,000 spectators, is currently 10,800. Since its construction until today, the Plaza de Toros de Tarragona has staged shows and festivals of all kinds: bullfights, circus, theater, festivals, concerts, sardana, bigheaded and various folk manifestations. In addition, every two years is the stage of the famous Castells Competition. Port Aventura, the Mediterranean’s largest theme park, is a complex with various hotels also make Team Building activities. The tourist, historical and cultural offerings of Tarragona is juxtaposed to a modern, fresh and bold contemporary offer. Team Building activities in Tarragona may use both offers. Tarragona, Catalonia as a key city, has a select but powerful of hotels. We also have Hotels in Salou, and Port Aventura, the famous theme park. In the culinary field, we should take into account areas such as the Col restaurants Nulles, l’Encanteri, Mas Gibert, Vermouth Rofes and El Maset, restaurants, all of the excellent quality and optimal service before or after activities Team Building in Tarragona. Fira Reus, or the Fair and Convention Center, is also an important space. In the area of infrastructure, there is a similar facility in which amplitude and technical characteristics are concerned. There are many examples of team building activities that can be arranged here. As for the sport, there are also places like the club Futbol Club Nautico Salou or Salou and Cambrils, in addition to recreational places like Lumine Beach and El Dorado Beach. Finally, many other farms also offer opportunities to organize team building events in Tarragona. We refer to places like Termes Montbrió, the Bon Mont, the farmhouses of San Antonio, Mallorquí la Plana, La Boella, the Port Vinyols, and a long list of optimal spaces for Team Building. We love working in the Samá Park in the Chapel of Mare de Deu de la Roca, on the beaches of La Pineda, Salou or Cambrils. But hey, if we want to organize an activity or experience of Team Building in Tarragona before all we ask is a number of questions choosing the best activity and the best place to carry it out. Because to choose a Team Building in Tarragona, first you must decide which team building activity we are performing and where we will carry out. As we have seen, the possibilities are many. Okay, you’ve already found us the trusted provider with more than 20 years of experience to organize a great motivational event for your team. The first question we usually ask customers and what we want you to know is where you want to organize your Team Building in Tarragona and, from there, if you confirm a particular place, we will offer activities for this site. But often, the place is not decisive for the company and in this case we recommend to decide before what activity you like the many we can offer and, then, once we know your desired activity, we help you find between our extensive database spaces (more than 50 locations in the province of Tarragona) best suited for Team Building activity selected. Therefore, the first question to ask is whether we will give priority to space or, conversely, if space is not critical and you are open to all possible venues if we are to give priority to the activity. Should we have priority over space or activity? Once we know the answer to this question it is when is our turn to help. And we need to help you better understand your needs. One of the first questions to ask is the date of the year: what date we organize this activity in Tarragona Team Building? In winter to avoid the cold, the tendency is to organize activities room (indoor activities), although if participants are notified in advance, and are all well equipped, can also organize outdoor activities, both treasure hunts around the city, as in one of the many farms around there as in the mountains. In spring, summer and autumn, whenever we can and have time to travel, we will go to any farm, garden or open space. It is always nice to get out of the office and outdoor activities, so, whenever we can better go outdoors to not stay in a hotel room or the same company. In espaciosparaeventos.es we have over 50 different spaces to make a Team Building in Tarragona. We love working in the Samá Park in the Chapel of Mare de Deu de la Roca, on the beaches of La Pineda, Salou or Cambrils. And as in the Jardines del Hotel Termes Montbrió one of our favorite hotels in the province of Tarragona. The next question we have to ask is how many people want to organize the activity? For small groups of less than 30 people, there is a type of activities such as outings sailing for medium-sized groups of 30 to 200 people there are others that are more suitable, as any of our activities and gymkhanas multi-challenge and for large groups, groups more than 200 people there are other activities. There are also Team Building activities that are more suitable for large groups and groups of more than 500 people. Such as making the company logo with the bodies of all, paint a great picture or painting a wall with graffiti sprays. Where are the participants and how much time do they have? This is also important to know. Where are these people going to be before going to the place of the activity? It is not the same to have to think about an activity for people who are meeting in a hotel in the centre of Seville, for employees of a company who will meet all in the morning in the same company or for people who will go in their own cars and from his house to the chosen place. The place from which depart will determine the logistics and travel times. And, for this reason, it is important to know where they come from because this data will be decisive in choosing the place. A very important question that we always ask the person who calls us interested in organizing a Team Building activity in Seville is what is the relationship of the organizer with the participants. And, often, we realize that our interlocutors do not just understand the reason for this question. When we talk about the organizer they do not know if we refer to the person who deals with this within the company (the “meeting planner”), the organizing agency or DMC, the company, etc. and many times we have to clarify it. And the way to be clear is explaining what it is about knowing the relationship between the company that pays the bill and those who are going to participate in the activity, that is, if the invoice is paid by a company, what are those people with relationship to that company? Even though many people, even MICE professionals do not see the importance of this question, that question is fundamental. And it is fundamental because the type of activity of Team Building that we can do in Tarragona and the place to carry out this Team Building, usually to be different depending on this relationship between both. It has nothing to do with having a group of Italian marketers of a tire brand (employer-employee relationship), with a group of distributors of a cosmetics brand (supplier and distributor relationship), or with a group of invited doctors together with his wives by a pharmaceutical laboratory (possible prescriber and company). Each of them requires a different treatment, with different activities and, sometimes, in different spaces. Where are the participants? Are they Spanish? Are they from Tarragona? Are they foreigners? And if they are foreigners, where are they from? There’s no added value with the events that can be organized for people who are of Tarragona, with that recommended organizing, for people who have come to Tarragona but the rest of Spain, throughout Europe, northern Europeans or Americans. We know. We have organized activities for them on many occasions and we know the tastes and needs according to the geographical area of their origin. One example is a group of foreigners who are three days in a hotel and that during the three days are almost all the time gathered at his hotel. What we do recommend? An activity for the city center, because we know that these people can not leave without at least Tarragona have known the most important center of this city. It is also necessary to understand what the activity program is included. Is the activity will be part of some kind of meeting? Is it a convention? Is an incentive trip? At that meeting, is there a motto or phrase or leitmotiv? The more we know the better we can choose meeting activity and space to carry out the same. The next question should be: what environment we want to do the activity? In the center of Tarragona? In a hotel room? on a farm? In the Mount? How many kilometers from Tarragona can walk away at most? These are all questions that will help us select the activity and space to carry out and live this experience of Team Building in Tarragona. Another very important question is to know what we want to achieve with Team Building activity we do in Tarragona What is the objective the client organizing this activity in Tarragona Team Building? To motivate? Create sensation and team spirit? Entertain?To form? Foster personal relationships among participants? Yes, we know, many times, they want to achieve all these goals, but if we can prioritize and define the three most sought after in order of importance, It would be so much the better. The more we understand the objectives to achieve, the easier it will offer an activity that these objectives and better profitability get the customer approach to investment. Another question to ask is what kind of experience are we looking for? A musical experience? artistic? ¿Of motorsport? The type of experience will strongly determine things that that group has done before. If last year made 4 × 4, this year we can surprise them with some paint or something musical. If last year made some musical activity this year we can surprise them with a treasure hunt-like activity with different tests. Seen from the point of view of the degree of physical activity, it is not the same to set up an orientation test the countryside where all compete walking (or running) for a circuit of three to five kilometers, than to to organize an event of painting where all together they paint a great picture. How much physical activity are we looking for? Are young people and want something very active, or are elderly and want something less physical? Or maybe you want something other than anything physical and is type board games like strategy games? We have to ask ourselves this question we have to ask why we think so. And have answers. And finally, another very important question that often nobody knows or nobody wants to answer, is the million dollar question what we budget for the activity? Having this information is vital because it does not waste time or we will lose others, contemplating activities or spaces that are out of our budget. If before organizing an event of Team Building in Tarragona, we get all these questions, do some preliminary work to get the maximum number of answers to these questions and we already have clear answers to all or most of them, we will be ready to talk with a specialist and advise us and, from there, choose the most appropriate activity for the group and make a great Team Building event in Tarragona. Dreams & Adventures we specialize in helping you. We have the experience, knowledge and professionalism to hear what your needs and offer the best ideas. Here we have given some of these ideas, but the chances, in most cases, are endless. You can get tested and practice answering all the questions we ask you at our events, using different filtering levels or find yourself from our extensive catalog of Team Building activities on our website or, if you prefer, call us, we will do all of these questions, tell us your needs and we will spend the best ideas with the corresponding budget. To find out what activities Team Building in Tarragona we can offer, please contact us.